Dr. Micheline Sheehy Skeffington will speak at the Spirit of Mother Jones summer school on Saturday afternoon 4th August at the Firkin Theatre at 2.30 pm. All are welcome. Dr Sheehy Skeffington is a plant ecologist with an interest in wetlands, heathlands and peatland. She has carried out research on sustainable farming for conservation and has contributed to many publications in these areas over three decades. Micheline won a landmark Equality Tribunal case against National University of Ireland, always in 2014 as a result of its discrimination against her over many years in relation to promotion to Senior Lecturer. 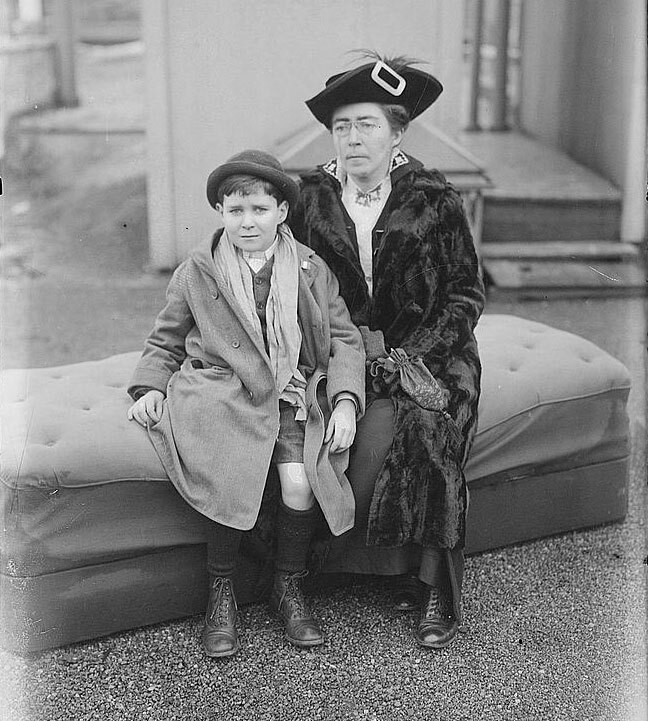 Micheline will discuss her grandmother Hanna Sheehy Skeffington at the summer school and she will concentrate on the visit by Hanna to America from December 1916 to June 1918. Having recently retraced the footsteps of her grandmother across America 100 years on, Micheline spoke in some of the key cities in which Hanna had spoken. She filmed as she went to create a documentary which will be produced by Loopline Films. 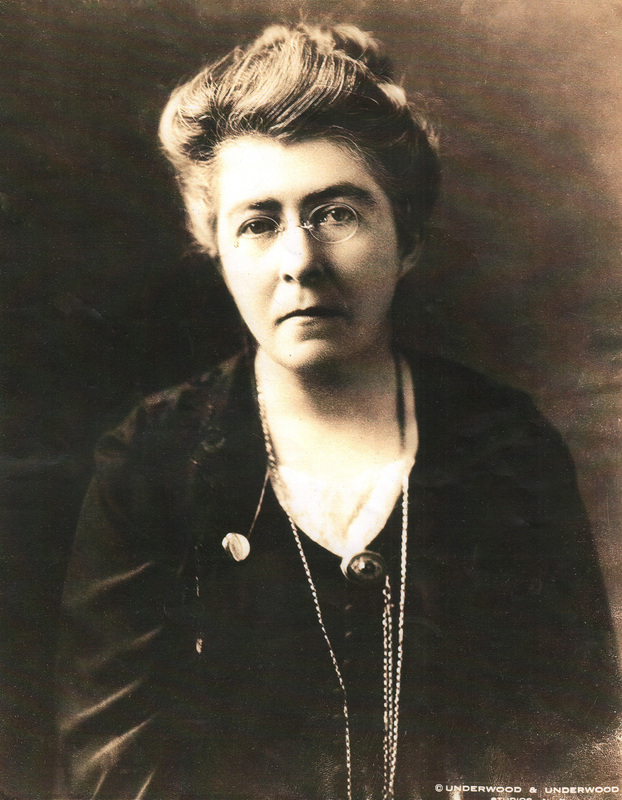 Hanna Sheehy was born in Kanturk, Co. Cork on 24th May 1877 to David Sheehy and Bessie (nee McCoy) who were from Co. Limerick. She spent much of her early life in Tipperary. Her father owned a mill near Templemore Co Tipperary and operated bread shops in Thurles and Templemore. She was brought up in very political household which had Fenian connections as both her parents were involved in the rural agitation of the time. Hanna came to Dublin and received an MA with first class honours in 1902. In 1903 she married Francis Sheehy Skeffington. Hanna and Frank were among the founders of the Irish Women’s Franchise League in 1908 and in subsequent years became increasing active in the suffrage movement and she was imprisoned on a number of occasions. By 1912 they founded the Irish Citizen newspaper along with Margaret and James Cousins, which gave a voice to women involved in the campaign for voting rights and equality. Both Hanna and Frank remained actively involved in politics, working in the soup kitchens of the 1913 Lockout, supporting the suffrage campaign and as pacifists actively opposing the First World War. Frank, while out trying to prevent looting in Dublin on 26th April 1916 during the Easter Rising was murdered by Captain Bowen-Colthurst at Portobello Barracks. Hanna’s brother-in-law Tom Kettle was killed at the Somme in September 1916.
departing from New York on 27th June 1918. Hanna was seen off by Liam Mellows. On her return she was arrested in Dublin and later imprisoned in Holloway Jail before being released after a hunger strike. In the general election of 1918, Hanna had joined Sinn Fein and campaigned for Countess Markievicz, who was the only woman elected in the first election where women over 30 had the vote. Later, Hanna received a head wound following an assault by the police at a meeting in Dublin where she bravely tried to protect a person who was being clubbed by the police. This incident was vividly described by a very worried Countess Markievicz writing from Cork Prison in August 1919 when describing how Hanna “lost a lot of blood and will have to keep quiet for a bit”. She was one of just five women elected to Dublin Corporation in 1920. She opposed the new Free State, spending further time in America at the request of Eamon de Valera. At the foundation of Fianna Fail in 1926, she was appointed to the executive of the party. In subsequent years Hanna wrote extensively on women’s rights and campaigned on many issues in addition to travelling to address conferences in Europe. In 1933, she was arrested in Northern Ireland for speaking there in defiance of a banning order and spent over a month in prison. During the Spanish Civil War she chaired a Women’s Aid Committee for the Spanish Republic. Later she campaigned against the new constitution in 1937 on the basis of how poorly it treated women. On 20th April 1946 Hanna died and is buried in Glasnevin Cemetery alongside her husband Frank. Hanna is described on her gravestone as a “feminist, republican, socialist”. Hanna’s extraordinary meeting with Mother Jones one hundred years ago in 1918. One hundred years ago, in what is a unique coincidence, two Cork born women spoke on the same public platform at a massive trade union protest meeting in San Francisco. 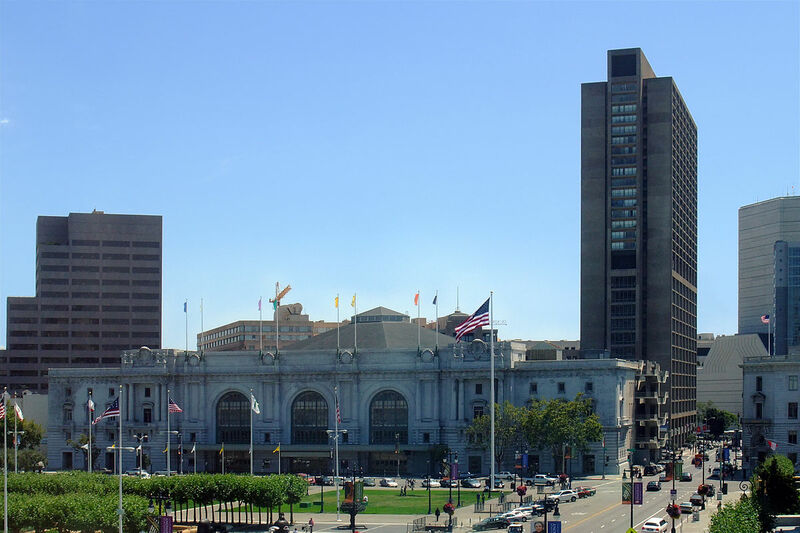 This large public meeting took place on the evening of 16th April 1918 at the newly constructed San Francisco Civic Auditorium (still standing today but now known as the Bill Graham Civic Auditorium). San Francisco is Cork’s sister city in America since 1984! Cork born Mother Jones (1837-1930) spoke passionately in defence of her long-time friend and trade union activist Tom Mooney who had been sentenced to death for the bombing of a Preparedness Day parade in San Francisco on 22nd July 1916 in which ten people had been killed. In what was widely considered to be a frame-up, Mooney’s case became a cause celebre for the labour movement. The San Francisco Examiner reported that somewhere between eight and ten thousand Mooney supporters attended this protest meeting and had marched through San Francisco earlier. 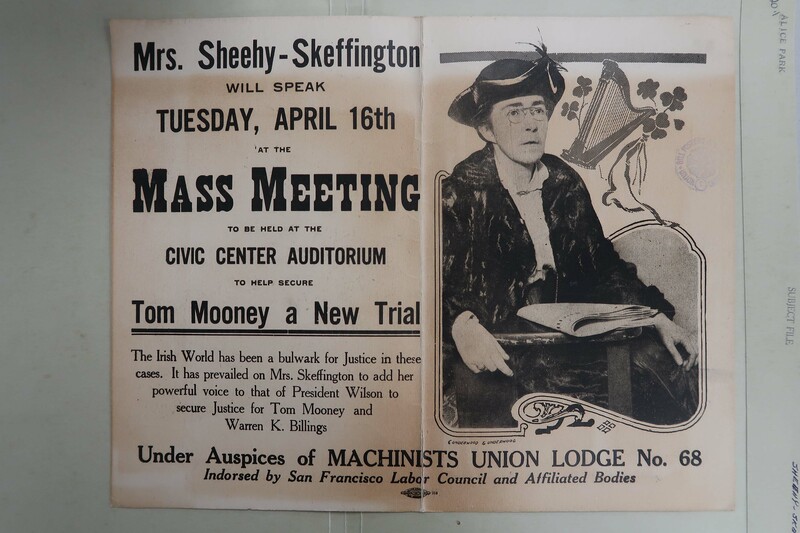 Mother Jones was joined on the platform by Cork born Hanna Sheehy Skeffington, and who was in the final stages of a speaking tour of America at the time. Mother Jones spoke at great length regarding Mooney, however her once spell-binding oratory now somewhat dimmed by the toil of her 80 years, could not be heard by sections of the crowd. The packed audience was supportive of the union icon until she apparently condemned the US military for shooting down working men and their families and she then faced some opposition from the crowd. Recent research by author Elliott Gorn** revealed that this element of her speech was reported to Washington by Lieutenant Rolin G. Watkins of the War Department’s Military Intelligence Division, (Later known after the war as the Bureau of Investigation under J Edgar Hoover). Indeed the Lieutenant also recommended that the Federal Authorities pressure her to stop making speeches. Lieutenant Watkins recommendations remained very much a nonstarter in the case of Mother Jones! By another extraordinary coincidence it seems that both women were being monitored by the American Intelligence Agencies. Mother Jones had also been arrested many times throughout her long career (including three months of incarceration in 1913 where she was interned without trial in Colorado) and indeed she was again arrested in 1919 on several occasions during the steel strike. 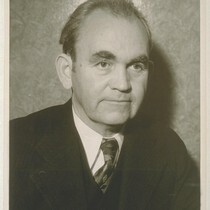 The union leader Tom Mooney was finally released from San Quentin in 1939. Hanna Sheehy Skeffington in her memoirs claimed …”The war is thus often made a pretext for vengeance against the socialist reformer.” Over the twenty years of his jail term Mooney had been the subject of a worldwide campaign to free him with people such as Lenin and George Bernard Shaw supporting his release. The Cork Mother Jones Committee will commemorate the historic events of the 16th April 1918 at the San Francisco auditorium during the forthcoming annual Spirit of Mother Jones Festival (August 1st to August 4th 2018) when Dr. Micheline Sheehy Skeffington will give an account of Hanna’s lecture tour of America. 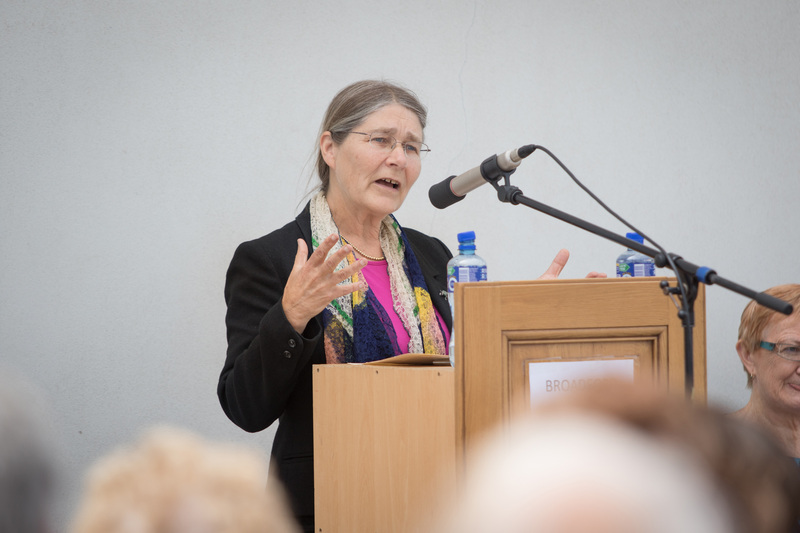 Micheline Sheehy Skeffington will discuss her grandmother’s life and activities and present the findings of her recent American visit at the Spirit of Mother Jones summer school on Saturday afternoon 4th August at 2.30 pm at the Firkin Theatre. * Hanna Sheehy Skeffington Suffragette And Sinn Feiner, Her Memoirs and Political Writings by Margaret Ward. University College Dublin Press 2017. Page 143. * * Mother Jones – The Most Dangerous Woman in America by Elliott J Gorn, Hill and Wang 2001. Notes page 377.